Diagnosis: The patient in question has symptomatic tachycardia-bradycardia syndrome. Pathophysiology: In this condition the sinus node automaticity is suppressed by the tachyarrhythmia and results in a prolonged sinus pause following termination of the tachycardia. 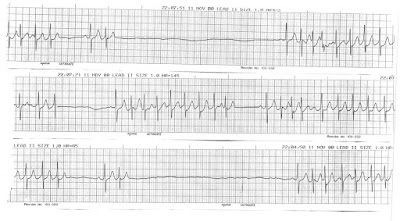 Management: The patient in this case is symptomatic, and pacemaker placement is warranted, Although a pacemaker will prevent bradycardia, it does not prevent tachycardia. 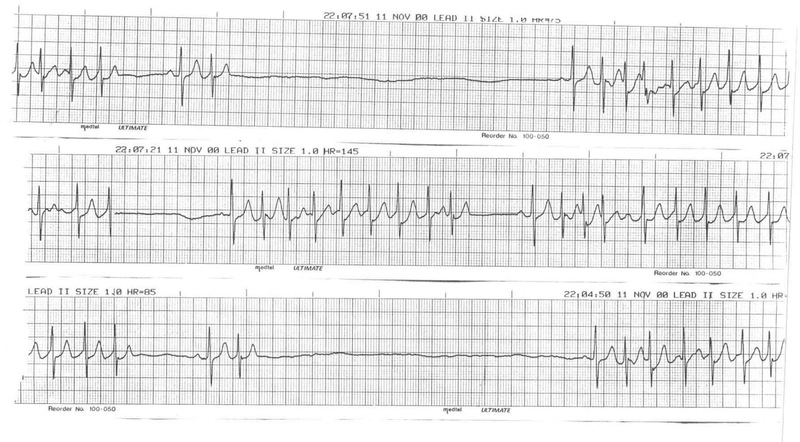 The patient may need medication to prevent tachycardia if she continues to be symptomatic after pacemaker placement. The tachy-brady syndrome does increase the patient’s risk of cardioembolic event, and anticoagulation should be considered.